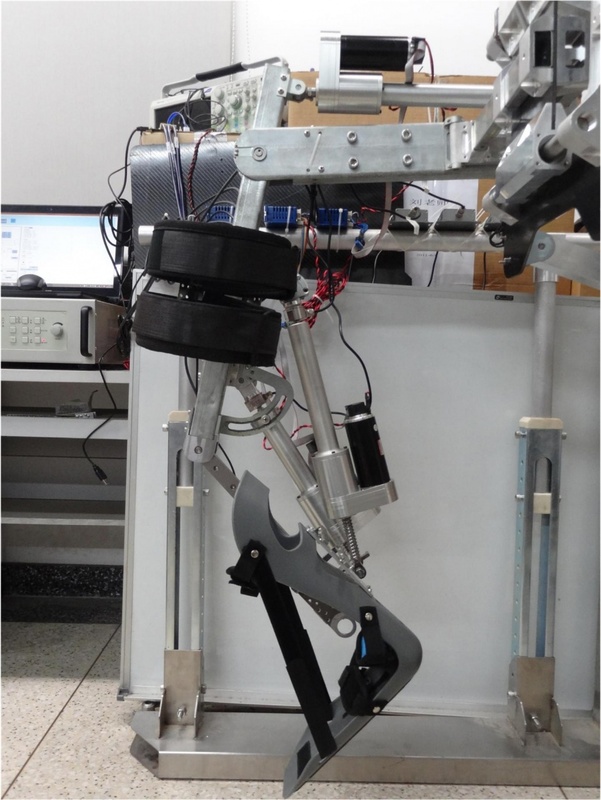 A wearable robotic leg developed by a team from Beihang University in China and Aalborg University in Denmark is claimed to be one of the first devices of its kind to feature natural knee movement. A prototype of the lower-limb exoskeleton being developed at Beihang University in Beijing, China. The device is one of the first to focus in detail on the knee joint, one of the most complex mechanical systems within the human body and a critical player during gait. The knee joint’s motion is actuated by several skeletal muscles along its articular surfaces, and – in order to ensure that it simulates the behavior of a natural knee joint as closely as possible – features a parallel mechanism similar to skeletal muscles. “Our new design features a parallel knee joint to improve the bio-imitability and adaptability of the exoskeleton,” explained Weihai Chen, a professor at Beihang University’s School of Automation Science and Electrical Engineering, in Beijing, China. The team is exploring a number of options for controlling the exoskeleton – including using a patient’s electrical muscle signals (electromyography – EMG) and electrical impulses from the brain (electroencephalogram – EEG). The next step is to work with hospitals on proper clinical trials of the system. “We’d also like to commercialise it in the near future, so we’ll be working to make the robot’s appearance fancier and enhancing the user interface to be more user friendly,” added Chen. This seems like valuable research, but it begs the question: How do they justify simplifying the hip’s motion to a pin joint, when the hip’s motion requires three degrees of freedom (complex motion along all 3 directional axes). I have read some of U.S. Based Ekso Bionic’s patents and they seem to be addressing this hip motion in concept, although not in production yet.